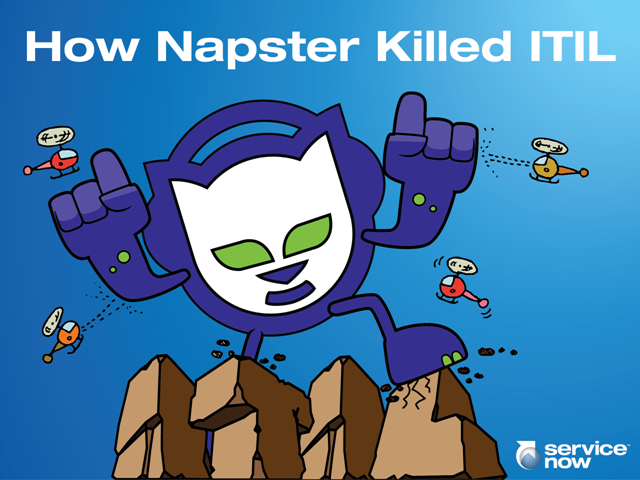 Remember what Napster did to the music industry? It changed the playing field - traditional music media died, to be replaced by cheaper, more accessible music - all available from an online store with an intuitive catalog. Now, you can get music anytime, anywhere, on any device. It's happening again. Cloud infrastructure is having a similar impact on business computing - no longer are huge on-premise infrastructure investments necessary to support business applications. We can move faster, promise higher-availability, and deliver better quality of service - all at a lower cost than ever before. But if you're doing all this without an intuitive, actionable service catalog - you're missing out on some of the biggest benefits of the cloud. Join us for an informative session discussing why a service catalog is so critical to the success of your cloud initiative.